Australia needs to triple its small stock of social housing over the next 20 years to cover both the existing backlog and newly emerging need. That is the central finding of our new research report on the housing infrastructure needs of low-income earners, published by the Australian Housing and Urban Research Institute (AHURI). By our reckoning, 25 years of inadequate investment has left Australia facing a shortfall of 433,000 social housing dwellings. 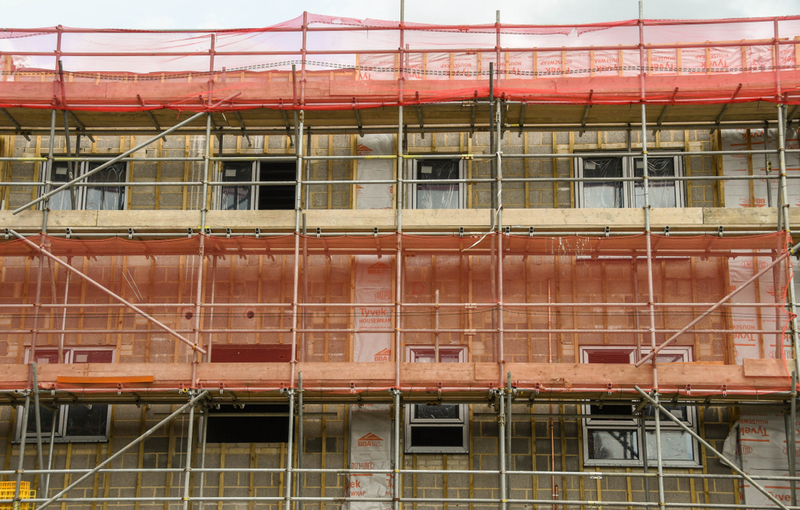 The current construction rate – little more than 3,000 dwellings a year – does not even keep pace with rising need, let alone make inroads into today’s backlog. The report also shows that Australia needs to avoid overly complex private financing “innovations”. These have proven ineffective elsewhere and were recently abolished by the UK Treasury. Our modelling of household need and procurement costs shows that direct public investment, coupled with more efficient financing through the National Housing Finance Investment Corporation, is the best way to tackle this policy challenge. Compared with subsidising the operating income of a commercially financed program, the lifetime cost of the first year of house building is A$1.6 billion less. That’s a 24 per cent saving to the public purse. From 1945, state and territory governments, financially supported by Canberra, maintained public programs that built 8,000-14,000 dwellings a year for half a century. From 1996, however, social housing largely slipped from the Australian government agenda. Dedicated ongoing funding to states and territories was at “starvation levels”. Public house building plunged to today’s residual output, except for a short-lived GFC-stimulus-funded recovery from 2008-11. How do we estimate the level of need? Our analysis quantifies both Australia’s housing need “backlog” and the “newly emerging” need from population growth over the next 20 years. It conservatively calculates backlog need as comprising two elements. First, it considers those who are homeless now. The 2016 census counted 116,000 homeless people across Australia. Recognising that some would choose not to live alone, we estimate that our homeless population implies a need for about 47,000 extra dwellings. Second, our analysis considers the group whose housing needs are not being met by the market. These households are on very low incomes (excluding student households), in private rental housing, and in rental stress – where rent is more than 30 per cent of their earnings. If you are on a very low income, housing costs of this order mean going without other essentials. Collectively, these components imply a current backlog of 433,000 social housing dwellings. Newly emerging need will expand the shortfall to 727,000 dwellings by 2036. This factors in expected population growth and the current share of social housing. It assumes no improvement in private rental housing affordability. How achievable is a building program of this scale? Fixing this problem – both the backlog and newly emerging need – calls for a major program of social housing construction. This is needed to expand the national social housing stock to nearly three times its 2016 size by 2036. Simply preventing the existing problem from getting worse calls for nearly 15,000 extra dwellings a year to be built. That’s a little over 290,000 homes over the next 20 years. To eliminate the backlog as well would require an annual program averaging 36,000 units. This would need to begin gradually to build capacity and avoid inflating costs. This would represent around a tenfold increase in current social housing construction rates. The output would be similar to the 14 per cent public housing share of Australia’s total house building in the decade to 1955. For comparison, housing providers with a social purpose today account for 20-31 per cent of all house building in the UK, Finland, France and Austria, and much more in some Asian countries such as Singapore. England’s not-for-profit housing associations, for example, completed some 42,000 homes in 2017-18, out of 161,000 homes built in total. What will this cost the government? What would be the price tag for such a program? And what’s the best way for government to provide the necessary support? To answer the first question, we identified both the social housing need, described above, and the land and construction costs across 88 regions of Australia. Different regions have different land costs and building forms, such as detached, medium and high-rise dwellings. Not surprisingly, the modelled unit procurement costs vary substantially, from A$146,000 in remote South Australia to A$614,000 in parts of Sydney. We then calculated the price tag across the country. To work out the cost to government, and answer the second question, a couple of important assumptions are made. The first is that social housing need should be met in (or near) the places where it arises. While skewing the building program towards less well-located places could accommodate the need more cheaply, it is in our view essential to avoid such a “ghettoisation” model. Second, while tenants can help cover the costs through their rent, to be affordable that rent will service only a modest amount of debt. As the federal treasurer’s own advisory committee acknowledges, therefore, the public purse must bear most of the development cost. No amount of “innovative” procurement or financing will yield a government “free lunch” as the UK’s National Audit Office evaluation of private infrastructure financing experiments demonstrates. We examined five contrasting “investment pathways” for delivering a program that builds social housing on the required scale. The basic choice is between a capital grant model (subsidy paid up front) and a revenue subsidy model (annual payments underpin debt repayments and operating costs). We calculate that the cost of the first year of the program would total A$5 billion under a capital grant approach. A private debt-financed approach, with government support through revenue subsidies, would cost A$6.6 billion. This is after discounting costs incurred in later years. Thus, direct investment would save Australian governments 24 per cent on average. So while governments tend to favour “financial innovation” options that push costs into the future, capital grant funding is the rational investment pathway. Providing enough housing for low-income earners is a growing policy challenge. With rising homelessness and housing stress in recent years, this research quantifies the scale of that challenge and identifies the most cost-effective investment pathway to its resolution.